Verify or calibrate your Mikrotest Coating Thickness Gauge and other ferrous coating thickness gauge using these precision standards. 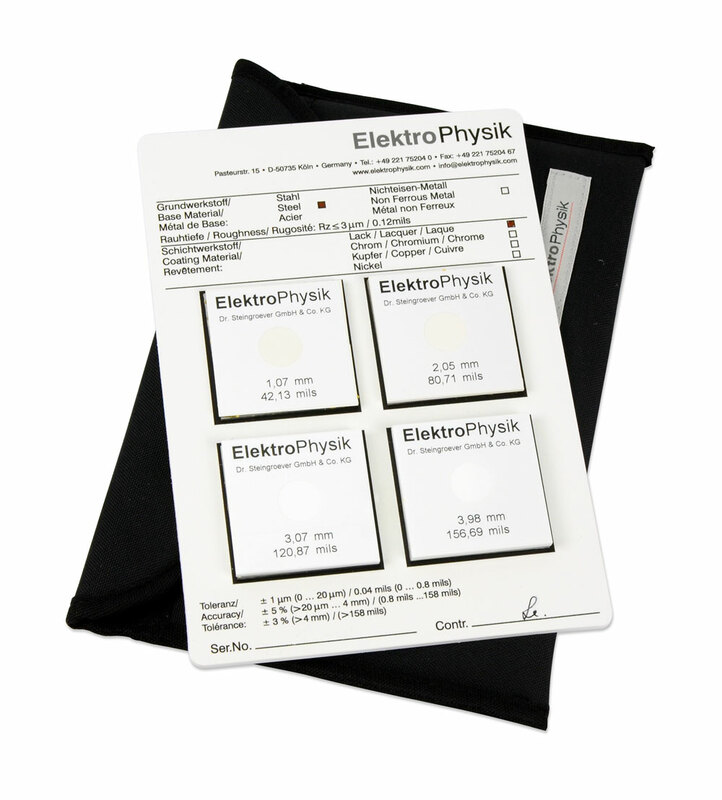 All sets are supplied with 4 coated plates marked with mil and micron/mm values. The plates are attached to a rigid plastic plate with printed tolerances and serial number.